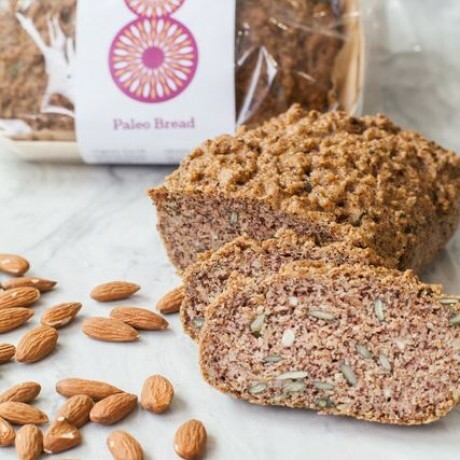 A Paleo-friendly bread loaf made with almond and coconut flours. A good source of protein and fibre, as well as vitamin E, riboflavin, magnesium and manganese. Make an open-faced sandwich with avocado and sun-dried tomatoes or fresh tomatoes and basil, with a drizzle of argan oil. Or enjoy as you would any other bread. Slices perfectly. Available to buy as one 400g loaf.